This is quick guide on how to fit an LSD into a gearbox. There is also information in the TIS. You will require certain specialized tools and measuring equipment. 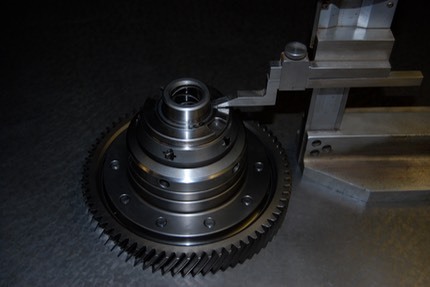 It assumes that the gearbox is in good condition, the preload of the taper roller bearings and position of the crown wheel is correct. You are using the same crown wheel. 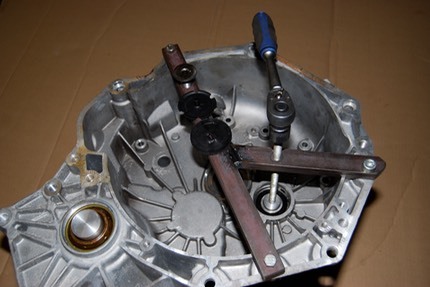 The bolts have been removed that hold the two halves of the gearbox together along with the sealing bung, plastic disk and Hex tubular bolt ( I used a tool made from an old clutch driven plate to lock the first motion shaft so that the tubular bolt can be removed). 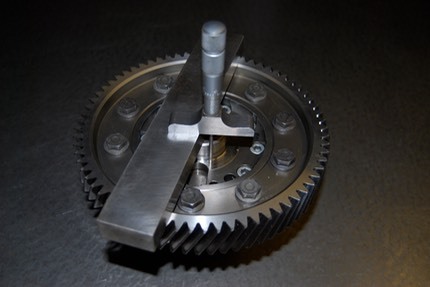 I have made a tool to push the shaft out of the bearing so that the gearbox can be split. A light tap may be required with a soft faced mallet to the diff' end to break the seal and disengage the locating dowels. Gearbox split and diff' removed. The bearings are removed, I have made a puller to do this so that no damage is caused to the bearings. Any shims need to be kept to the respective end and bearing. 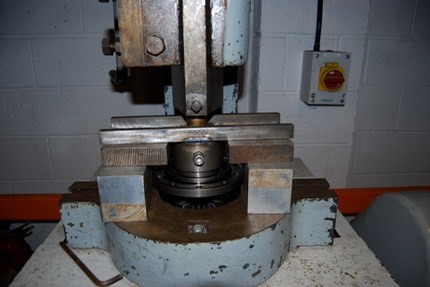 A ground Parallel and depth micrometer is used to measure the distance from the crown wheel face to the bearing seating face ( I measure with and without the shim to double check myself) and the dimensions noted down. 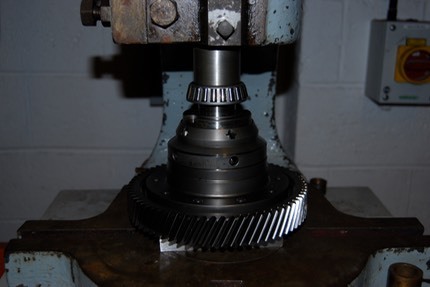 The diff' is turned over, rested on a surface plate and dimension measured using a vernier height gauge from the crown wheel face to the opposing bearing seating face (and shim) and measurements recorded. 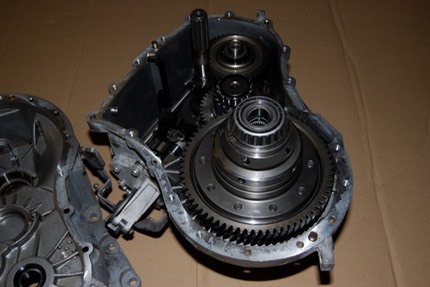 The crown wheel has been removed from the open diff' and fitted to the LSD. 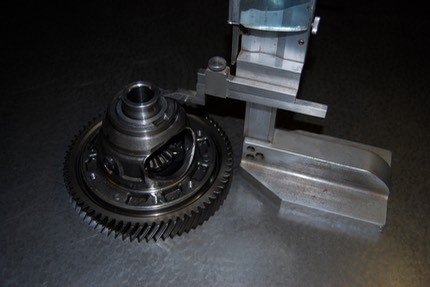 The bearings are now fitted with the new shims, being careful not to damage the bearings by supporting the crown wheel off the bed of the press and only pressing on the inner race of the bearings and not the cages. 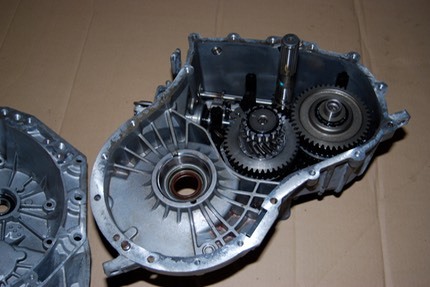 The LSD assembly is now fitted to the gearbox and the gearbox sealed. Great guide, although I feel the equipment needed may take it beyond most DIY mechanics. Fancy fitting the LSD to the 02M vag box for me? In fact would you consider offering this service for anyone wanting a diff fitting and if so cost? Great guide. I'd be pretty interested in getting an LSD fitted too if you do offer your services! Excellent, thanks for posting Dave.